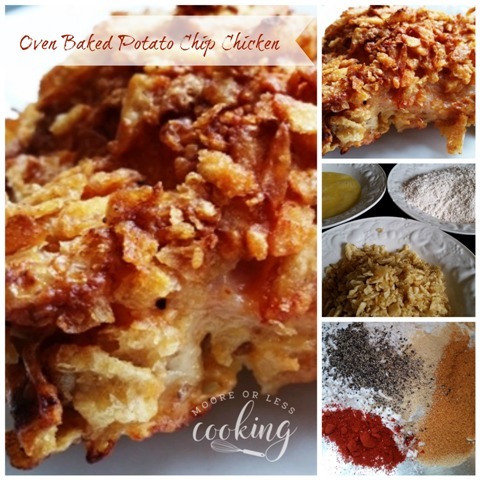 Crispy and crunchy, moist and flavorful Potato chip chicken. 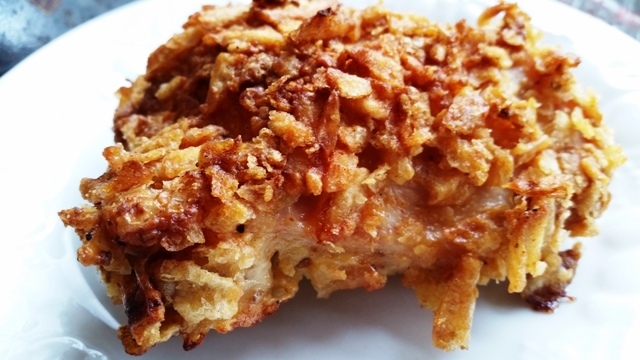 Love the flavors of fried chicken, but not the hassle of frying it. This chicken tastes just liked fried but even better! My Grandma made this for us the last time we visited her and it was the best chicken. Every single crumb was gone from the plate. She was thrilled to make it for us and I had to make it and thought of her the whole time while I made it. 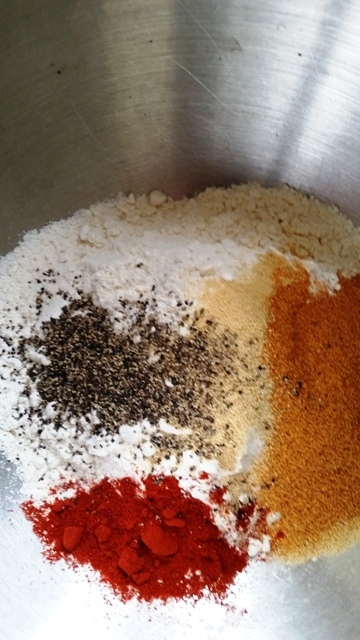 Mix dry ingredients together in a bowl, set aside. 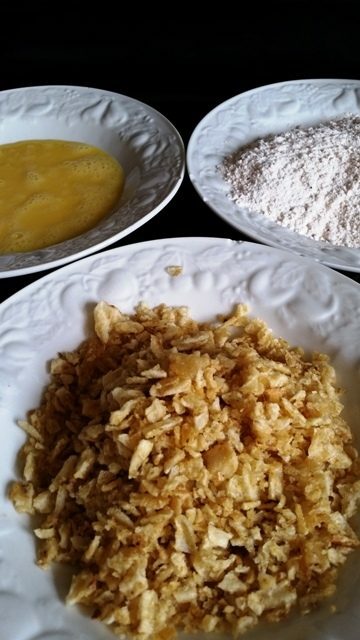 Place broken chips in one bowl, beaten eggs in another bowl, dry ingredients in a third bowl. Bake until crispy brown, thighs 50 minutes. Parchment paper soaks up a bunch of the grease. Now the chicken isn’t so oily. 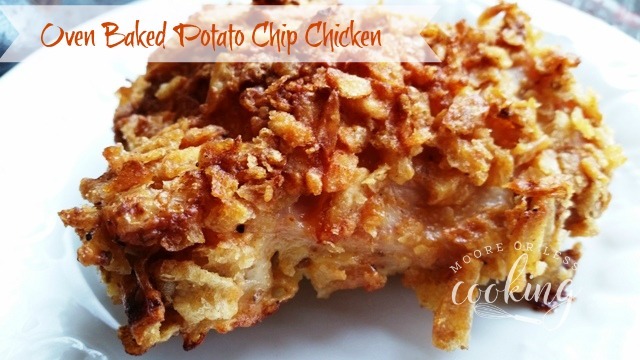 This would be great as chicken fingers too for a cookout! 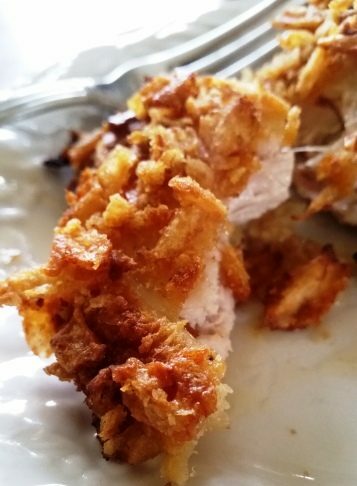 Crispy oven baked chicken is succulent and flavorful! 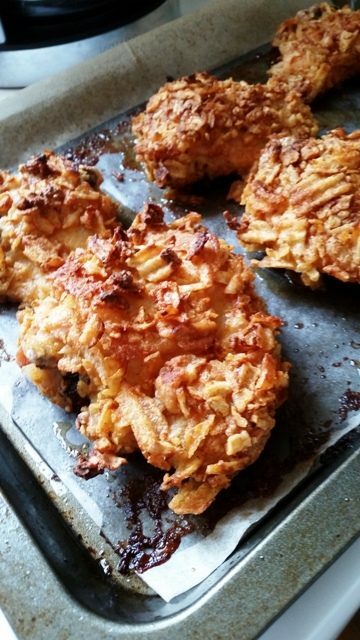 I love the flavors of fried chicken, but not the hassle of frying it. This chicken tastes just liked fried but even better! In a medium bowl, whisk together the first five ingredients. Line up bowls and baking sheet in this order from right to left; egg, flour, smashed chips, then baking sheet. 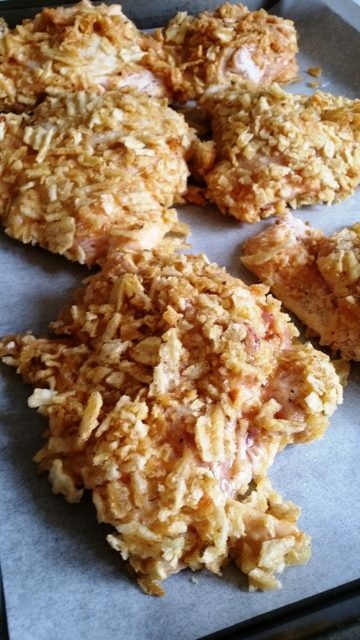 Dip chicken in the flour mixture and cover it completely. Dip it into the egg mixture, then into the broken chips for a second coat. Melt butter and drizzle evenly over top of the chicken pieces. Click here to see more #CookoutWeek recipes! This does sound like a delicious dish,. It is going on my to try list. Mmm what an awesome crunchy coating! Thank you Erin, this chicken is so tasty!